Patricia Manfield of The Atelier, after Stella McCartney, Paris, October 2015. Creative Consultant Kate Foley, before Tory Burch, NYC, September 2015. 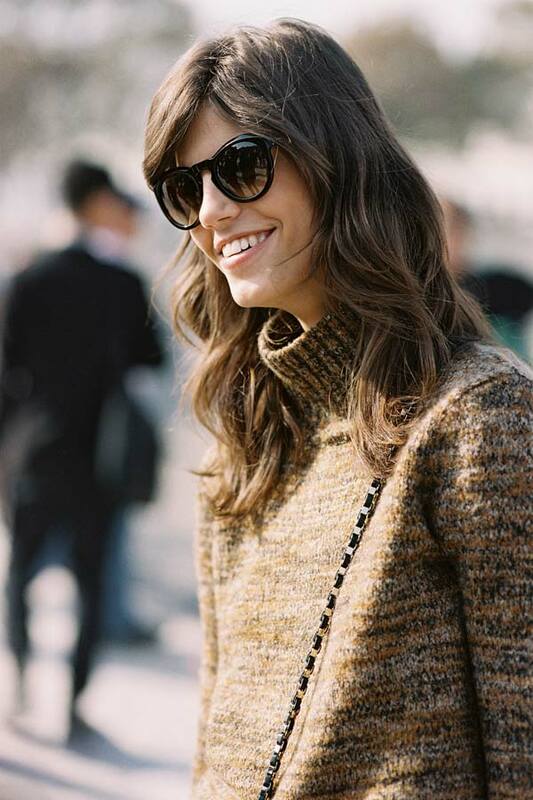 Helena Bordon, before Chanel, Paris, October 2015. The classics: A sleeveless turtleneck + wide leg pants (and easy to add a blazer or coat over the top for the cooler months). Indian model Bhumika Arora, after Stella McCartney, Paris, October 2015. Charlotte Groeneveld of The Fashion Guitar, Paris, October 2015. Something utterly gorgeous for the weekend: the most wonderful candy pink pleated skirt and a stunning oversized grey sweater. Not to mention Charlotte's sequin Chanel bag (another way to style it here) and pretty Jimmy Choo Rosana velvet pumps. Absolutely love this look on Charlotte!.... Such a feel-good outfit. 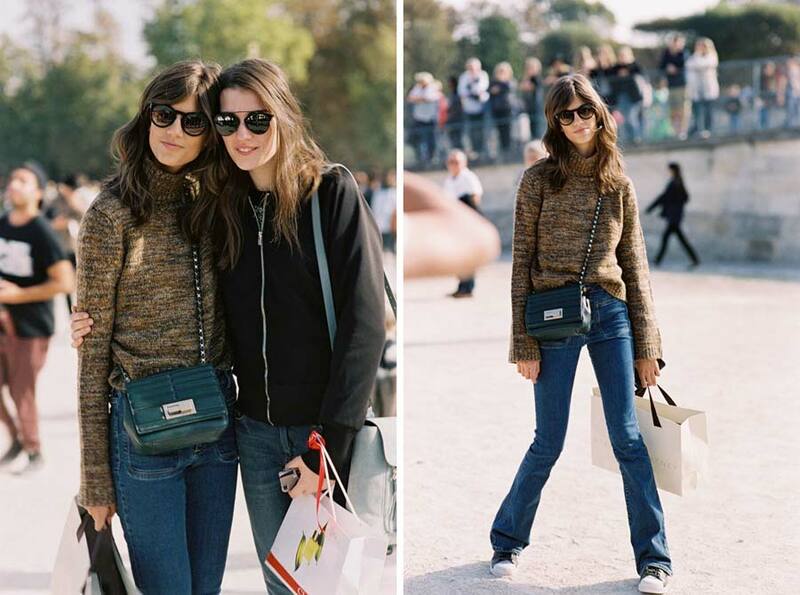 Before Louis Vuitton, Paris, October 2015. 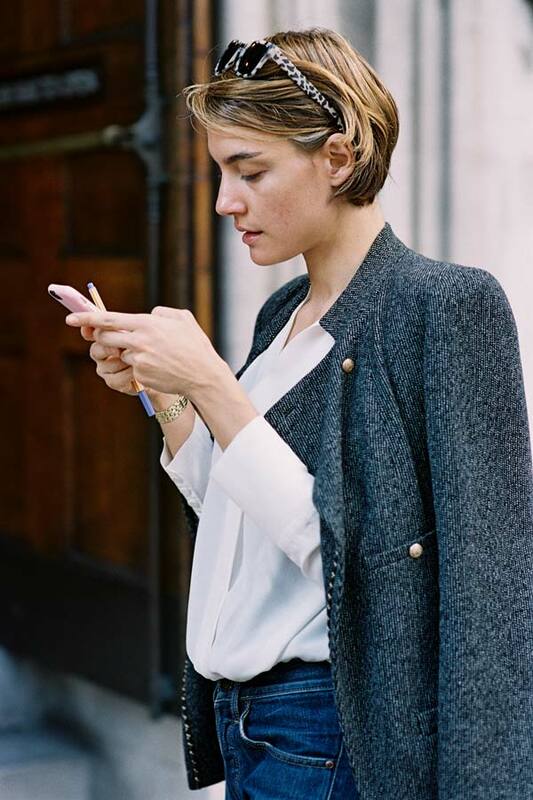 Stylist and Fashion Director Vogue Turkey Konca Aykan, after Topshop Unique, London, September 2015. Classic beauty. Denim jeans + a beautiful white blouse + a gorgeous grey jacket. Ella Catliff of La Petite Anglais, before A Show, Paris, October 2015. Calorie free: Kate Spade's very cute Petit four skirt and top. After A Show, Paris, October 2015. Talisa Sutton of Badlands, before A Show, NYC, September 2015. Love this dress on Talisa! Athena Calderone, before A Show, NYC, September 2015. I have photographed Athena a couple of times but didn't know who she was until I came across this article (and this one) on Remodelista. 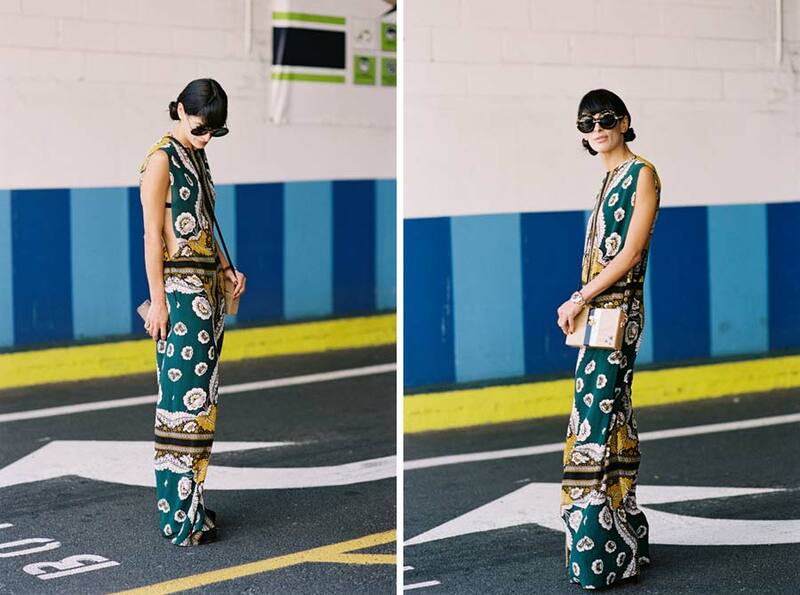 Love Athena's scarf print jumpsuit! Such gorgeous colours.